I’ve been hinting at a trip to Rio since like…a year ago, albeit largely infrequently. But I never really explained why. Back in the mid 1980’s, Blessed Pope John Paul II invited young Catholics to Rome for a jubilee celebration on Palm Sunday in St. Peter’s Square. Over 300,000 showed up, and he was impressed. The following year, coinciding with the United Nation’s International Year of the Youth, he invited youth to come to Rome again. 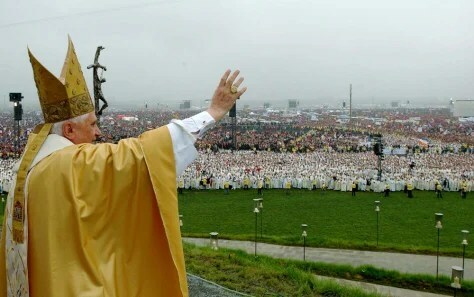 After that one, Pope John Paul II instituted World Youth Day as like…a normal thing. Since then, World Youth Days are held every few years internationally. Back in high school, even though others from my parish made plans and effort to go, I never thought of actually going from a practical standpoint, but I always thought it would be cool. Simply put, time and money were things I didn’t really have back then. In college, same thing. But, I was able to vicariously experience World Youth Days in Madrid, Sydney, Cologne, and Toronto through the pictures and stories of friends who went. Maybe someday, I thought. Fast forwarding to the end…it came time for Pope Benedict XVI to announce the when and where of the next World Youth Day. I remember being like…super tired because it was like…4AM or so, and I had been up all night and watching the Mass. But the anticipation of hearing the announcement for the next World Youth Day was enough to wake me. So Pope Benedict XVI announced that the next World Youth Day would be in 2013 in Rio De Janeiro, Brazil. I remember thinking how cool that would be and somewhat wishful thinking as well because I had the desire to go, but I wasn’t sure of the means of how I’ll go. I guess I kept that wishful thinking in the back of my mind for about a year because I didn’t actively pursue any avenues to make a trip to Rio happen. In the summer of 2012, I learned that a group was being organized by the folks over at The Shepherd’s Café. Their ministry leader invited me, actually. Really, this was the only local organized group planning to go that I had heard about at the time, and it was mighty tempting for me to be part of their group. Their trip seemed pretty interesting because it involves a mission trip aspect to other southern American countries before going to Brazil. I really wanted to go to World Youth Day, and I nearly made an executive decision to go with them. My concern was cost because their trip would be more expensive due to their travels to other countries. But I figured that…I’ll pay up because it’s a very unique opportunity, and I really wanted to World Youth Day. I told some people at my parish that I was thinking about going with this group and kind of left it at that as I waited for the next informational. …And I never ended up going to that informational. 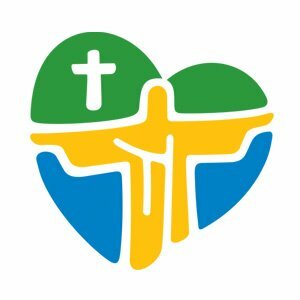 Because, unbeknownst to me, there were some plans being made to send some youth from my parish to World Youth Day in Río! Annnnnddddd! We would be combining with another parish in the diocese! Since I had expressed my desire to go, I was asked if I would chaperone. No hesitation in saying “yes!” and I made the executive decision to go! Without spoiling details…this combined trip wouldn’t be the same as the other one that I was thinking about joining. Our trip would be more pilgrimage-style experiencing the full week of events at World Youth Day with some free time spent in Río visiting iconic places and churches. So we had initial meetings last summer to discuss basic info, the documentation required, cost, and all that jazz. That’s when I made (and blogged about) an executive decision to join my (combined) parish group. I’m pretty stoked! I just recently found out that the hostel that my group is staying at…is sharing the hostel with only one other group: the Shepherd’s Cafe group! Totally unintentional on our parts! Haha. And fun fact! The other parish that I’m combining with is the same parish that we went with to the March For Life in Washington, D.C. back in January! Really, this pilgrimage was a sort of warm up to our trip to Rio! Now, on a surface level, World Youth Day seems like a time for young Catholics to come together from all over the world to see the pope. As initially cool as that seems, that is not my primary reason to go. Yeah, maybe in high school and college that would have been my reason, but knowing what I know now and where I’m at in my faith, that seems a little too surface-level for me. I think what draws me to go is to experience the Church in its universal glory united in Jesus Christ. In addition, to learn more about the faith and to have an authentic encounter with Him with (millions gathered of) like-minded young people. Most of the time it is too easy to confine my experience of the Church to the grounds of my own parish and chunk of land that is my diocese. But, truly, at the end of the Gospel of Matthew, after Jesus rose from the dead and revealed His glorified self to His apostles, He commissioned them to “make disciples of all nations…teaching them all [He had] taught them.” Was this even remotely accomplished or has progress even been made? I think the answer is a resounding yes. And going to World Youth Day, I’ll be able to experience the universal Church through the joyful and cultural expressions of those millions gathered for this event from all. over. the. world. And I think that’s really cool! Psh, the Catholic Church is not merely our buildings or simply an institution. The Church is a living organism, and it will be awesome to see the Body of Christ in a way that I’ve never seen before in person. The hundreds of thousands gathered for the March for Life in Washington, D.C. earlier this year pale in comparison to the millions of people who gather for World Youth Day. But don’t get me wrong!!! The secondary motivations of going are still pretty exciting! I mean, come on! RIO DE JANEIRO! 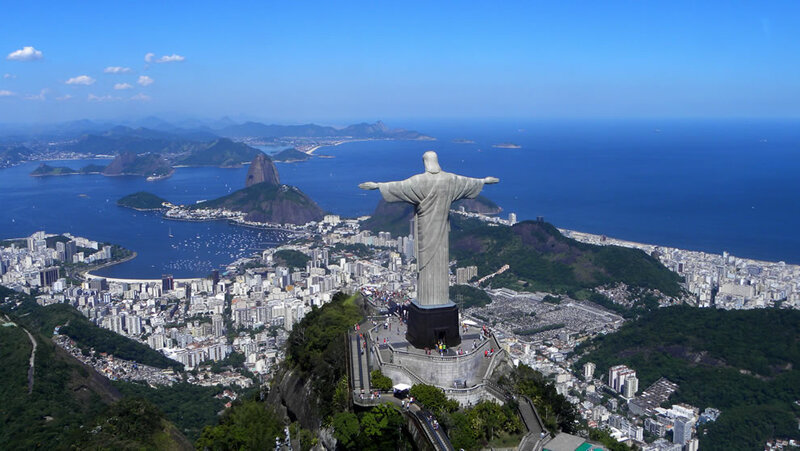 I’ve never been south of Cancun, Mexico, much less anything Southern American, and to visit Rio would definitely be an awesome experience to see with my own eyes. Experiencing the culture, seeing the Sugar Loaf Mountains, the Christ the Redeemer Statue, and Copacabana Beach! And other places! COPACABANA BEACH! This is where Pope Francis will welcome us all at the beginning! THOSE GUYS! One of my favorite priests and one of my favorite Franciscan Friars of the Renewal are going with us! Basically, we can have Mass and Confession anytime! And the friar is really good at singing and guitar-playing! MEETING NEW PEOPLE! We’re going to interact with a lot of people from all over the world. A thing to do is to exchange swag, so I’m stocking up on some small Texas things! POPE FRANCIS! Yes, seeing the Pope would be really cool! World Youth Day 2013 is his only scheduled trip outside of Italy this year! TO LEARN! Heaven forbid that Catholics don’t learn how to be Catholic! Part of WYD is they provide catechetical sessions so that everyone can learn something more about their faith! TO GROW DEEPER IN MY PRAYER LIFE! Knowing the group I’ll be going with, there will be lots of Liturgy of the Hours, Mass everyday if possible, Divine Mercy chaplets, chants in Latin, and other things. We’re also all doing the preparation for the Total Consecration to Mary! Just in my own preparation, I’m learning more about myself. TO FLY! As an aerospace engineer…I love any opportunities to fly on airplanes! To make it extra nerdy for me…I’m also curious about the airline seats since airline seating is my job! AND MORE! Many more to list, I’m sure! I’m grateful for the engineering career that I have for it has enabled me to have the vacation time and monetary means to make this trip possible for me to go on. Seeing how all this has that “everything just worked out” vibe with relative ease…I think that I was definitely not meant to go to the previous World Youth Days. I’m meant to go to this one, for whatever ultimate reason. Vamos para o Rio de Janeiro!